Niall, Liam, Louis & Zayn x. . Wallpaper and background images in the one direction club tagged: 1 direction. 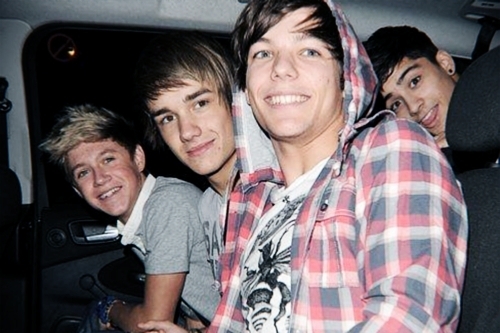 This one direction photo contains automóvil, coche, suv, camión, auto, and carro. There might also be calzada.